If you have a load of old printed photos sitting in a drawer somewhere, there are plenty of ways you can easily save digital versions of them. You could scan the original negatives, but for that, you need a special scanner and a lot of time. On the other hand, you could also just use your phone. If you want to maintain a high level of quality when you digitise your photos, a dedicated app is going to do the job better than any other options. Heirloom (Android, iOS) is a decent one worth checking out, and so is Pic Scanner (iOS), which can handle multiple photos at once. You should test a few out before you settle for any specific one, but our favourite is by far and away Photomyne. It’s free for iOS and an Android app is “on the way” according to the developers. 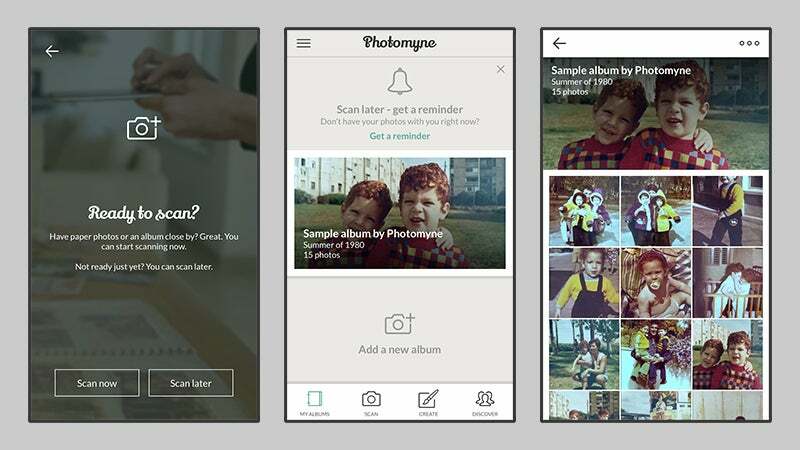 Photomyne takes a lot of the hassle out of digitising lots of old snaps and can automatically enhance faded pictures, capture a bunch of photos at once, and share images instantly. Once you’re into the main camera part of the app, a three-second hold on the shutter button is enough to capture up to four photos at once, whether they’re spread out on a table or in the pages of a photo album. 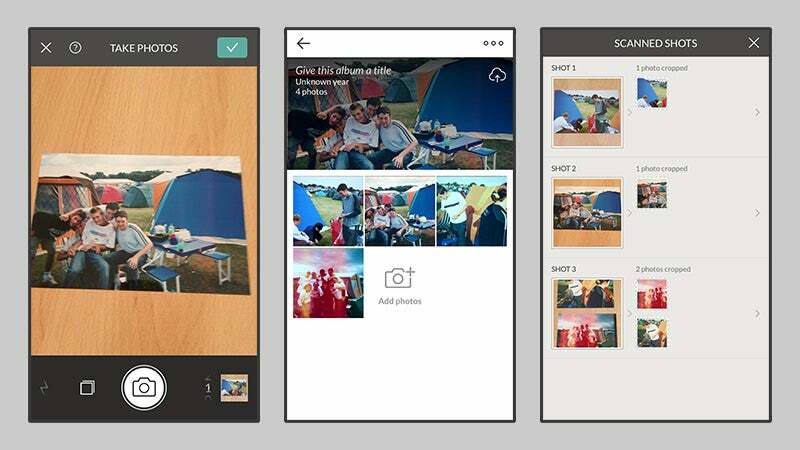 They’re then cropped and automatically added to your album as you go, though you can manually crop and edit as well. Photomyne really shines when you’re importing a whole batch of photos and straightening them all up. The auto-enhance options (which again you can tweak manually) are of course welcome additions, and work pretty well. Obviously, don’t expect them to perform miracles on every image; you might get better results on your own in a photo editing application. Photos can of course be grouped together as albums and you can tag friends from Facebook and add a date (the app lets you choose a year and a season, which is much better than asking users to remember exact dates years ago when images were taken). As you would expect, there are all the usual sharing options for your snaps too. The only downside is the cost of cloud storage. If you have a huge number of images to capture and store, then you’ll probably want the full £4 version. That lets you save snaps to the camera roll and you can pay £9/year on top of that for unlimited cloud backups on Photomyne’s own cloud service. Photomyne won’t save ultra high-resolution photos of your old masterpieces, but it’s a great way to easily share some old memories with people online.